What are we to make of Western Buddhism? Glenn Wallis argues that in aligning their tradition with the contemporary wellness industry, Western Buddhists evade the consequences of Buddhist thought. This book shows that with concepts such as vanishing, nihility, extinction, contingency, and no-self, Buddhism, like all potent systems of thought, articulates a notion of the “real.” Raw, unflinching acceptance of this real is held by Buddhism to be at the very core of human “awakening.” Yet these preeminent human truths are universally shored up against in contemporary Buddhist practice, contravening the very heart of Buddhism. 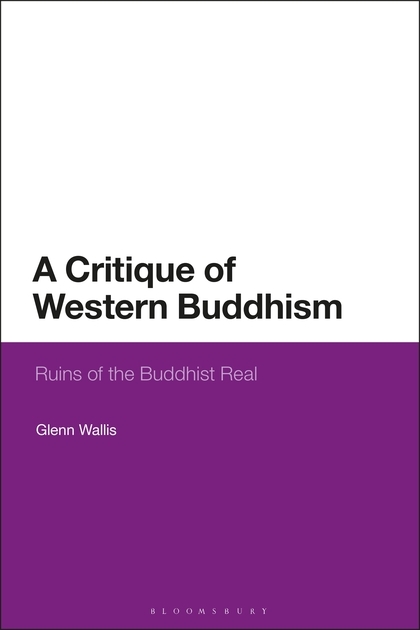 The author's critique of Western Buddhism is threefold. It is immanent, in emerging out of Buddhist thought but taking it beyond what it itself publicly concedes; negative, in employing the “democratizing” deconstructive methods of François Laruelle's non-philosophy; and re-descriptive, in applying Laruelle's concept of philofiction. Through applying resources of Continental philosophy to Western Buddhism, A Critique of Western Buddhism suggests a possible practice for our time, an "anthropotechnic", or religion transposed from its seductive, but misguiding, idealist haven. Mindfulness seems to be everywhere—but are we sure that's a good thing? Teachers Sallie Jiko Tisdale, Gil Fronsdal, Norman Fischer, and more explain how removing mindfulness from Buddhism may set a dangerous precedent. Mindfulness is in fashion. Oprah loves it, Google teaches it to employees—it has become widespread as a cure-all for stress, health problems and psychological difficulties, interpersonal trouble, and existential anxiety. But when mindfulness is separated from the Buddhist tradition, is something lost? 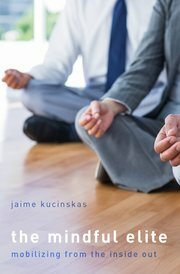 The Zen teachers gathered here each offer a unique perspective on what “mindfulness” means, its strengths, and the potential pitfalls. And more, including essays on mindfulness and environmentalism, science, and psychology. Each chapter offers insights to ground mindfulness in a deeper understanding of both where it comes from, and where it might be headed. When British journalist Ruth Whippman moved to the United States, she found herself increasingly perplexed by the American obsession with one topic above all others: happiness. The subject came up everywhere: at the playground swings, at the meat counter in the supermarket and even- legs in stirrups- at the gynecologist. The omnipresence of these happiness conversations (trading tips, humble-bragging successes, offering unsolicited advice) wouldn’t let her go, and so Ruth did some digging. What she found was a paradox. 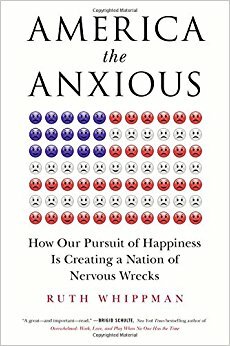 Despite the fact that Americans spend more time and money in search of happiness than anyone else on earth, research shows that the United States is one of the least contented, most anxious countries in the developed world. Stoked by a multi-billion dollar “happiness industrial complex” intent on selling the promise of bliss, American appeared to be driving itself crazy in pursuit of contentment. Ruth set out to get to the bottom of this contradiction, embarking on an uproarious pilgrimage to investigate how this national obsession infiltrates all areas of life, from religion to parenting, the workplace to social media. She nearly falls apart psychologically while attending a controversial self-help course that promises total transformation, where she is told that all her problems are all her own fault. She visits a strange “happiness city” in the Nevada desert and explores why it has one of the highest suicide rates in America; delves into the darker truths behind the influential “positive psychology” movement and ventures to Utah to spend time with the Mormons, officially America’s happiest people. Hilarious and insightful, Ruth’s discoveries are startling and unexpected from start to finish. Why are we so interested in measuring happiness? What was a Buddhist monk doing at the 2014 World Economic Forum in Davos lecturing the world’s leaders on mindfulness? Why do many successful corporations have a ‘chief happiness officer’? What can the chemical composition of your brain tell a potential employer about you? In the past decade, governments and corporations have become increasingly interested in measuring the way people feel: ‘the Happiness index’, ‘Gross National Happiness’, ‘well-being’ and positive psychology have come to dominate the way we live our lives. As a result, our emotions have become a new resource to be bought and sold. In a fascinating investigation combining history, science and ideas, William Davies shows how well-being influences all aspects of our lives: business, finance, marketing and smart technology. This book will make you rethink everything from the way you work, the power of the ‘Nudge’, the ever-expanding definitions of depression, and the commercialization of your most private feelings. The Happiness Industry is a shocking and brilliantly argued warning about the new religion of the age: our emotions. It is 1975 and India is in turmoil. American Stanley Harrington arrives to study Sanskrit philosophy and escape his failing marriage. When he finds himself witness to a violent accident, he begins to question his grip on reality. Maya introduces us to an entertaining cast of hippies, expats, and Indians of all walks of life. From a hermit hiding in the Himalayan jungle since the days of the British Raj, to an accountant at the Bank of India with a passion for Sanskrit poetry, to the last in a line of brahman scholars, Stanley’s path ultimately leads him to a Tibetan yogi, who enlists the American’s help in translating a mysterious ancient text. Maya, literally “illusion,” is an extended meditation on the unraveling of identity. Filled with rich observations and arresting reflections, it mines the porous border between memory and imagination.